Norway’s government has, as expected, been forced to postpone implementation of a new airline seat tax that’s highly disputed among the airlines, airport administrators and overseas aviation authorities. It was supposed to take effect from April 1, but now won’t hit up passengers for another NOK 88 until June 1 at the earliest. News bureau NTB reported Thursday that Finance Minister Siv Jensen followed through on her prediction last week that the tax may be put off. Neither her Progress Party nor the Conservatives who lead the government coalition were behind the tax, but it was pushed through in budget negotiations last fall by their minority government’s support party, the Liberals (Venstre), as an environmental measure aimed at discouraging Norwegians from flying so much. Most opponents scoffed at the Liberals’ proposal, arguing that NOK 88 (NOK 80 for the tax itself, plus VAT of NOK 8) wasn’t likely to have much impact on travel-happy Norwegians’ budgets. The airlines, however, especially the ultra low-fare carriers like Ryanair, objected mightily to having to charge passengers the new tax. 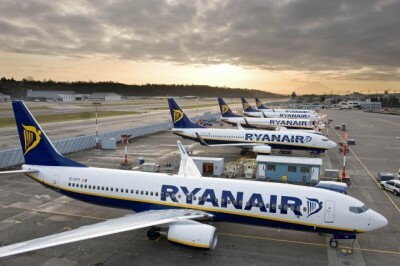 Ryanair has threatened to drop its flights from the Rygge Airport in Moss, south of Oslo, which in turn could force the small airport to close, with the loss of hundreds of jobs. The airlines, especially those not based in Norway, also needed more time to add the tax to their accounting and fare systems, while the government faces legal challenges over whether the tax violates European free trade regulations and the spirit of the EU’s “Open Skies” agreement with the US. The tax applies only to flights taking off from Norwegian airports, but would need to be included, for example, when passengers buy tickets on foreign carriers to Oslo with connecting flights to elsewhere in Norway. More complications have arisen: Passengers flying on connecting flights within Norway that aren’t on affiliated airlines face being charged the tax for each leg of the trip, giving a clear advantage to airlines that are part of an alliance and sell thru-fare tickets where the tax would only be charged once, on the initial take-off flight. If carriers are to be exempted from imposing the tax on a certain leg, however, it may be viewed as illegal state subsidy. Competition and aviation authorities, both in Norway and outside the country, have been raising red flags over such issues. The Norwegian government ministries involved thus have lots of sorting out to do, as do the airlines, with SAS saying it needs a minimum 14 days in advance of the tax being levied, to weave it into its fare system. Passengers who’ve already bought tickets for flights after April 1, or now June 1, will likely avoid having to pay more, with the airlines covering the cost, although that’s another issue that hasn’t been worked out. Even some environmental advocates think the airline seat tax has become far more trouble than it’s worth and should be scrapped. The Liberals would then face an embarrassing political defeat, though, and have shown no signs yet of backing down.